Bill Truex has been involved in the construction industry since 1992. He has been a licensed contractor since, and is well known in the industry and community. Bill is a Certified Graduate Builder, Certified Green Building Professional and is certified in mold remediation. Bill and his wife Andrea have lived in the Englewood Area since 1991 and started Truex Preferred Construction in 2005. Passion led me to this field and my passion is expressed through my treatment of my client's home as if their home was my home. I personally oversee that my subcontractors meet my clients expectations. Many have found that doing business with Palmer Homes is always a pleasure as you get to deal directly with the owner from start to end. 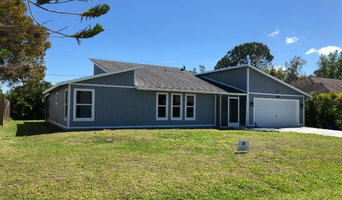 This way we offer you a more personal approach to realizing your dream of building a new custom home in Cape Coral and the surrounding area. Choosing Palmer Homes as your Custom Home Builder assures your home construction project will be treated with the care and consideration your family deserves. 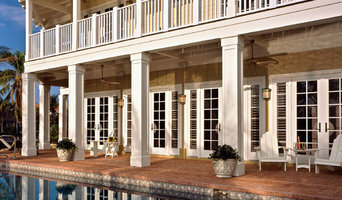 Award Winning Interior Design Firm established in 2006, provide full service and professional interior design services. Residential interior designer for small or large projects. I work with small budgets as well. Color sessions are available to only make paint selections. I typically work on a hourly rate. Caffey Architecture, is a lead architecture firm that offers design plans for home and business properties in Southwest Florida. We maintain a focus on the style of our clients and seek to implement features that improve function for their day to day use. We seek the “green initiative”, for a healthy future and donate our time and profession to better our community. We provide our clients with a range of services to assist the need to build and maintain property. We create blueprints and design plans that give structure for permits and instruction for building. We provide a service of interior design to plan for renovations and new installations. We provide site analysis, consulting, assistance with the closing of homes and permits by affidavit. We also provide the service of expert witness, close-out permits as well as forensic architectural and construction services. We work close with our clients to learn their taste of style and sketch out a design for them to ensure it will compliment their life. Our clients enjoy our designs and know that we have their best interest in mind while we design for their space.